Over 35 people from local businesses in Charnwood attended a “green” workshop organised by Charnwood Borough Council and the Carbon Trust. 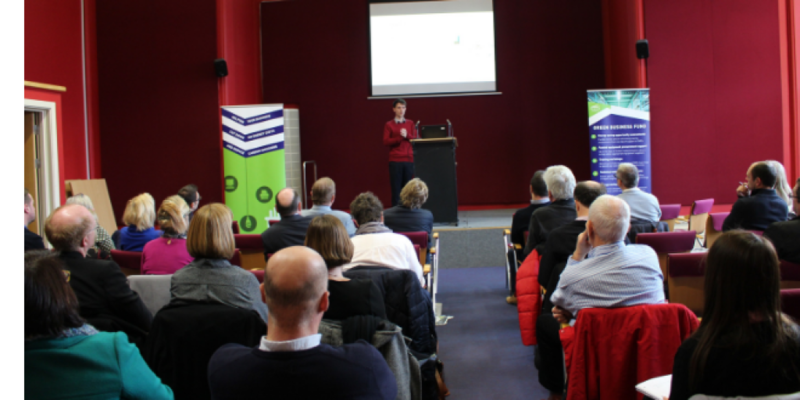 The Green Business Fund Workshop held at the Loughborough Town Hall on February 6 attracted representatives from local companies in the manufacturing, engineering and transport sectors as well as charities and other organisations. The workshop, run by the Carbon Trust, offered advice on reducing carbon emissions and energy consumption and applying for funding towards energy-efficient equipment. Cllr Eric Vardy, lead member for planning, said: “I was pleased so many local businesses attended this workshop. Not only can reducing carbon emissions and energy consumption be good for the business but it’s also good for the environment. “I hope people were able to take away valuable information and put into practice some of the top tips on offer and in return help to reduce carbon emissions in Charnwood. In 2015, the Council set out a plan to cut its carbon footprint by 15 per cent by 2020 under its 2020 Carbon Pledge. The pledge sets out how the Council will reduce its carbon footprint of 2,132 tonnes of CO2 a year by 320 tonnes.